Danius Kesminas – crackle… & splat! 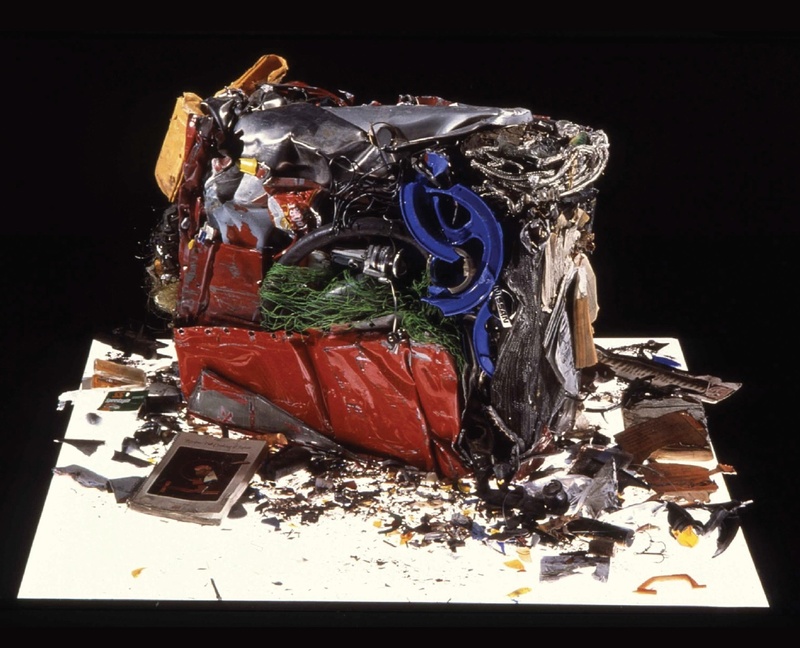 Soon after Time magazine’s high-minded art critic Robert Hughes smashed his hire-car on the way back from fishing in remote Western Australia, the crumpled wreck appeared in Danius Kesminas exhibitions in Perth and Sydney – a neatly compacted Nissan-cube of steel and rubber, spilling over with fishing gear. For Kesminas, this was a unique moment in which the art world (outrageous bombast and courtroom antics) collided with the real world (road laws, blood alcohol limits, physical injury, insurance, etc. ); the smashed car was a sculpture embodying all of the high-key contrast. In earlier works, Kesminas had redeployed iconic modernist sculptures by Sol LeWitt and Carl Andre as children’s playground equipment—another kind of collision, between the useless tradition of American formalism and a practical social purpose. In an incendiary act, Kesminas worked with Ben Morieson to set fire to the logos of the Adelaide Festival’s major corporate sponsors. 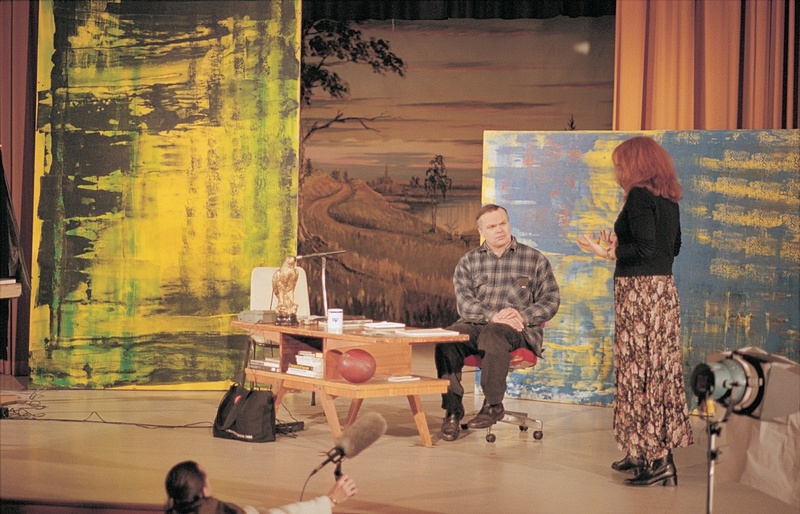 In collaboration with Michael Stevenson, he restaged a published interview between German painter Gerhard Richter and critic Doris von Drathen as a filmed theatre piece, animating the arcane language of contemporary art writing with sexual tension and other tropes associated with TV soaps. 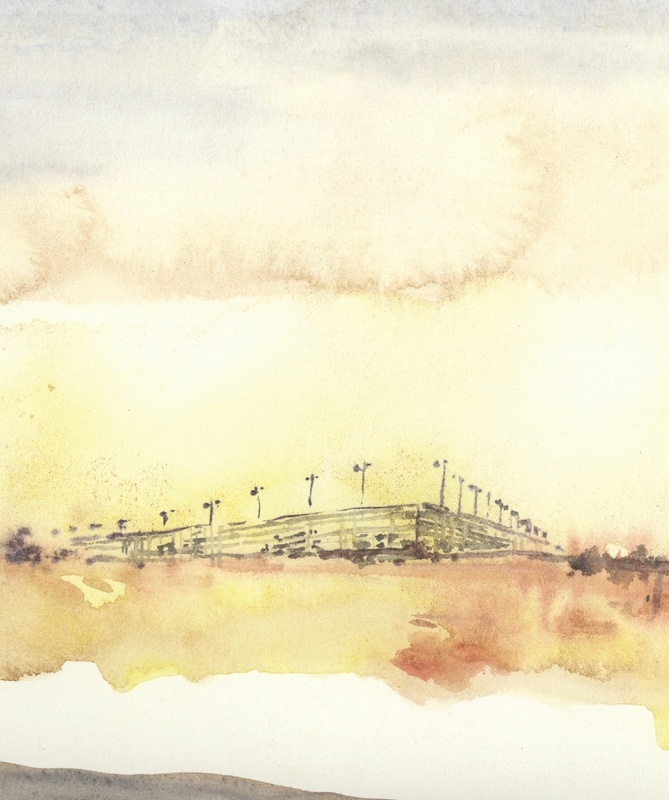 As an educator, Kesminas arranged watercolour classes en plein air at Woomera Detention Centre in South Australia, where traditional techniques and a cloying pastel palette softened the grim reality of Australia’s immigration laws. 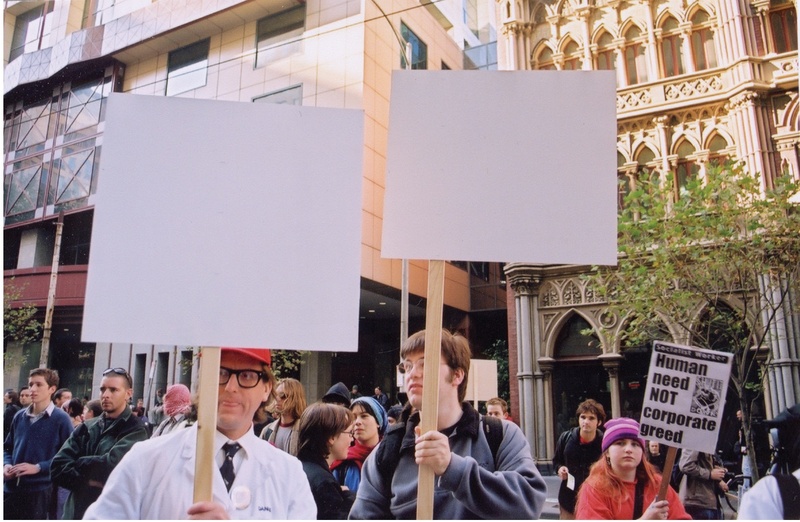 He also worked with Callum Morton on the Pedagogical Vehicle Project, a now-legendary student elective based around driving an old ice-cream van to public events, providing some dubious public service, to test art’s social utility: dispensing cookies at a political rally and awarding a prize for best stud at an agricultural show. 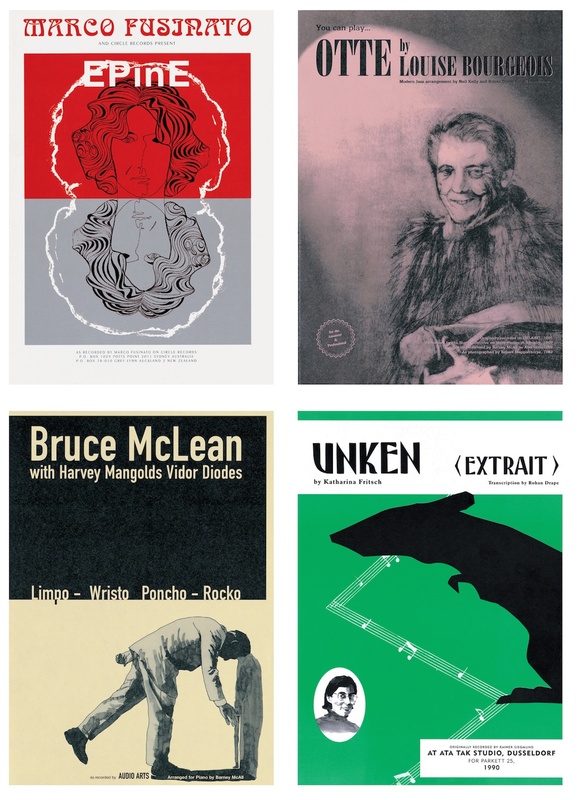 With Slave Pianos – a group including Michael Stevenson, Rohan Drape, and Neil Kelly – Kesminas transcribed musical recordings by artists, re-presenting them for player piano, a scratch DJ, the Burley Griffin Brass Band, and Russia’s Krasnyi Quartet, one musical form transposed for another. 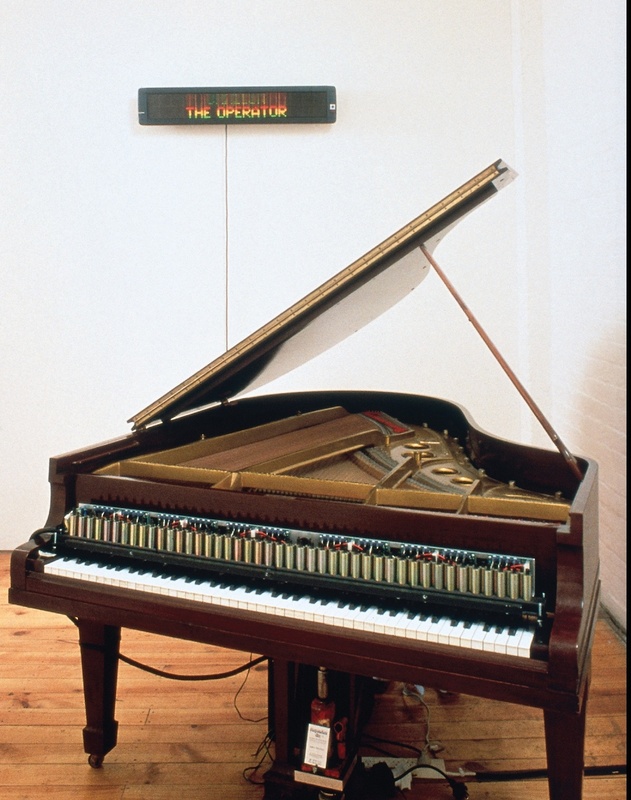 Slave Pianos has amassed a substantial archive of source recordings, sometimes displayed in a jukebox, as well as sheaves of original handwritten scores, like George Brecht’s hair-comb event transcribed for piano. The group has also presented several operas based on the lives of artists, where incidental art-world biography assumes a new grand voce status, and specious regional debates inform the transcendental denouement. 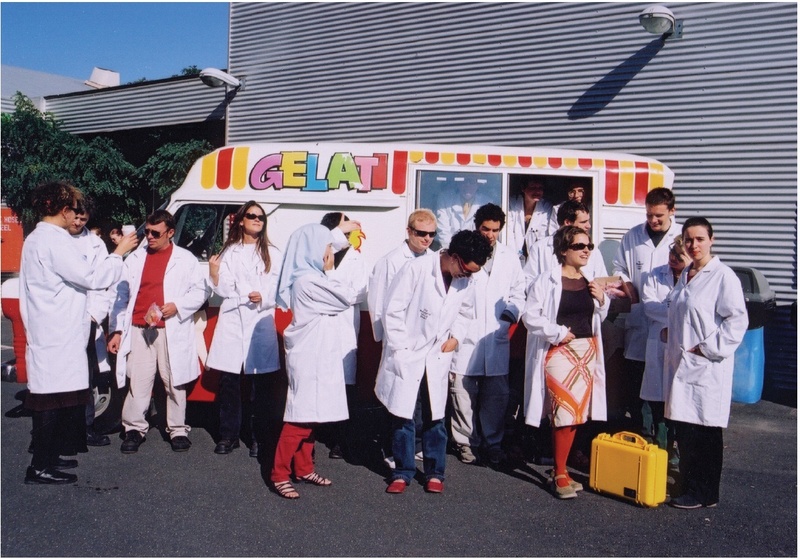 For example, in Dissident Consonances, performed by the Astra Choir, based on little-known correspondence between former Lithuanian President Vytautas Landsbergis and Fluxus founder George Maciunas, the chorale finally, mournfully observes the gulf left between politics and art after the death of Maciunas and the birth of post-Soviet Lithuania. Kesminas’s “concept-art-(heritage)-rock-cover band”, The Histrionics, sets old pop/ rock standards to new lyrics drawn from “art world history, discourse, controversy and rumour”. The playlist includes ‘Drip It’ (an ode to Jackson Pollock after Devo), ‘Hip to Paint Squares’ (post-painterly abstraction after Huey Lewis), and ‘Appropriation’ (after The Beatles’ ‘Revolution’: “You want to use appropriation. Well, you know, we all want to change the words”). Art theory, like pop music, has its hit parades, its moves and styles, its own verse and refrain. Similarly, Kesminas formed Punkasila with local musicians in Indonesia in the continuing aftermath of Suharto’s regime – corrupt government, rampant militarism, fundamentalist Islam, anti-Western reaction. 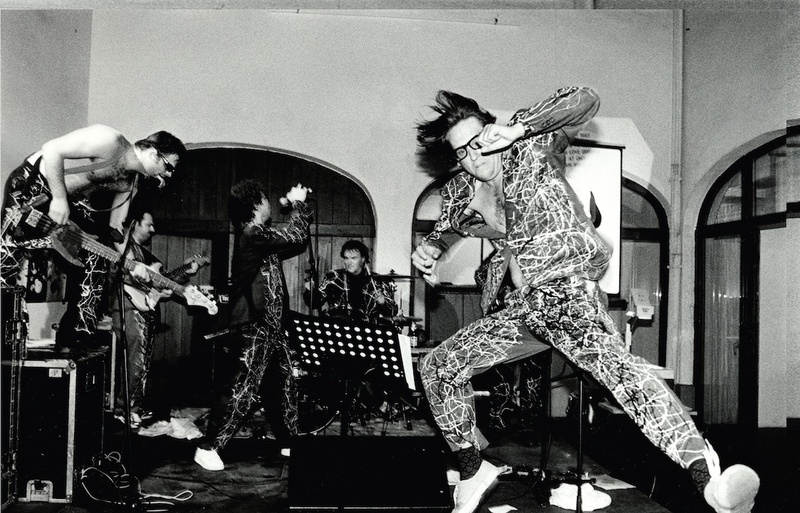 Based on the five (wavering) principles of independence enshrined in Pancasila, the band – wearing batik camouflage fatigues and playing hand-carved guitars modelled on AK47s – merges angry three-chord riffs with lyrics taken from acronyms for the hundreds of Government organisations and NGOs that characterise Indonesia’s complex politics today. In each of these ‘collisions’ you can hear the buckling of conventional forms and standard formats as Kesminas drives genre head-on into symbol, reassembling the parts according to another, more cynical logic, which one can trace in the elaborate charts that accompany his work, like a mud map of his pinball synapses. Far from being absurd or untrue, Kesminas’s work is always an extrapolation of genuine source material, such as the discovery of underground vodka pipelines running from neighbouring countries into Lithuania, on which basis Kesminas manufactured a vodka-fuelled waterwheel that played well-known drinking songs toasting the country’s new EU ‘connections’. Relentlessly singing, drinking, playing and joking, convening a merry band of artists and musicians, Kesminas has managed, in the grand tradition of the sceptics, to integrate his own life and art into a kind of praxis that constantly tests the efficacy of art – especially its spurious claims to social relevance – checking the escalating hyperbole of the art world. Courtesy Darren Knight Gallery, Sydney.